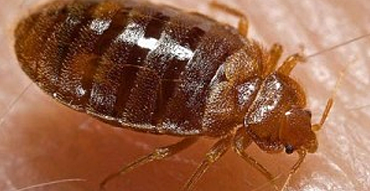 The prevalence of bed bugs has become a serious problem plaguing many hotels, hospitals, schools, commercial and government buildings, as well private homeowners. They spread easily by adhering to laundry, furniture, bedding, clothing and luggage. They are also easily transmitted from animals and domestic pets. Conventional methods of detecting infestations are time consuming and costly. The good news is, dogs are now being trained to sniff out these pesky creatures. K-9 SEARCH & DETECTION, LLC can provide K-9s that are adept at finding both adult bugs as well as eggs. They are vastly more thorough and accurate than any other type of bug detection due to the dog’s ability to search in areas not accessible to humans. They can also provide peace of mind in making sure your premises are free of these pests, and ensuring that no profits are lost by negative publicity. Less Expensive. Bedbug detection Dogs generate quicker and more accurate results, which leads to lower remediation costs for homeowners and insurers. For schools, hotels, commercial and government buildings, cost savings can be quite substantial. Cutting-Edge Technology. The “Nose” is cutting-edge technology and the latest trend in the home inspection industry. It’s the only inspection tool that can detect and pinpoint sources of bedbugs – critical information for lowering costs. Proven and Trusted. “Man’s best friend” has been used for years by military and law enforcement agencies to detect bombs and drugs, among other things. Dogs are Honest. Dogs are trained to work for food and love… and NOT for profits. Hard Workers. Government authorities in Germany have found that a typical office building search of approximately 200 rooms can take one dog eight hours to complete. Effective Problem Solvers. For REALTORS® concerned about escrow timelines, Bedbug Dogs can quickly and more accurately inspect a home, which gives both parties the feedback they need to quickly and effectively resolve issues.